Assess the impact of the Permanent Court of Arbitration’s ruling in the South China Sea (SCS) dispute on ASEAN-China relations. There’s no doubt that the Permanent Court of Arbitration’s ruling in the SCS dispute will impact the relations between China and ASEAN members, particularly the bilateral relations between China and those members who have territorial disputes with China. Although Chinese minister of commerce, Mr. Gao Hucheng, asserted in early August 2016 that the SCS would not impact China’s trade and investment cooperation with the Philippines, it looked more like a gesture of Beijing. In fact, Chinese investors and consumers’ words carry more weight. Their nationalist sentiment, rising highly during the past months due to the SCS arbitration case initiated by the Philippines, will take a while to disappear. Many potential Chinese tourists cancelled their trips to the Philippines in consideration of the unstable political relations between two sides. Explain China’s stance toward ASEAN. During the investigation and arbitration of the Permanent Court, China did not take an aggressive attitude to disintegrate ASEAN, who actually had already shown signs of splitting according to different positions on the SCS dispute. This is benign for ASEAN as a whole. It coincides with Beijing’s consistent position that it sees ASEAN as a union. Therefore, as long as ASEAN was aware of this, the Permanent Court of Arbitration’s ruling in the SCS dispute would not impact the relations between two sides. Despite Beijing’s decision to dismiss the PCA’s ruling, China still leverages considerable influence in trade relations with Southeast Asian countries. Explain if this approach reflects China’s transactional rather than transformative leadership. At present, China is the largest trading partner of ASEAN while ASEAN is the third largest partner of China. Bilateral trade volume got up to $472 billion in 2015. 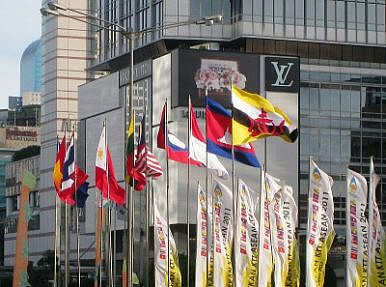 Besides, ASEAN is one of the main overseas investment destinations of Chinese enterprises. As of the end of May 2016, China and ASEAN conducted two-way investment over $160 billion. It is foreseen that China will invest more in ASEAN, particularly in infrastructure construction, when implementing the Belt and Road Initiative. However, China never ever claimed the leadership role in cooperation with ASEAN from the 1990s onward. Instead, China supported ASEAN to play a dominant role in regional cooperation. China’s support for ASEAN, on the one side, saved China the embarrassment of claiming leadership, and on the other side, excluded the possibility of anyone else’s claiming leadership. This, however, did not stop China from actually acting as the de facto leader in East Asian economic integration. China was the first one in East Asia who put forth the idea to establish the bilateral free trade area with ASEAN; China made great concessions when negotiating to finalize the China-ASEAN Free Trade Area Agreement. China supplied $15 billion of credit loans to ASEAN and another 207 million RMB of special assistance to less developed ASEAN members in a bid to help fight against the 2009 global crisis. Therefore, China’s contribution to economic integration in East Asia is not only transactional but also transformative. China is highly capable of initiating issues and setting agendas in economic integration in East Asia. If China is argued to display transactional leadership at the moment, it will play a more transformative leading role in the near future. What are potential regional trade consequences if the Trans-Pacific Partnership (TPP) fails to come to fruition? Currently there are two ways leading to the anticipated Free Trade Area in Asia Pacific (FTAAP). The U.S.-led TPP agreement is one of them, and the other is the ASEAN-centered RCEP (Regional Cooperation Economic Partnership) agreement. The former is a politically motivated agreement of economic cooperation to a great extent while the latter shows more elements of purely economic features. Accordingly, the former has a high possibility to fail to come to fruition once the political motivations shift. If the TPP fails to come to fruition, the RCEP loses a competitor and it definitely has more possibility of leading the ASEAN+6 members to arrive at the ultimate goal of the FTAAP. After all, Asia Pacific countries feel more comfortable with the incremental ASEAN way featuring step-by-step and case-by-case economic cooperation. Given its membership in the RCEP and non-membership in the TPP, China will be one of those who are happy to see fruition of the RCEP instead of the TPP. As long as the RCEP continues, the regional trade will not be negatively affected even if the TPP fails. What is the role of the United States as a Pacific power vital in facilitating East Asian economic integration? The United States seemed somehow clumsy in incorporating itself in East Asian economic integration as a geographically extra-regional power of East Asia. Firstly, Washington preferred an Asia-Pacific cooperation framework rather than an East Asian one from which it was excluded. In retrospect of what the United States did within the frameworks of the APEC and the TPP from the 1990s onward, the country showed an obvious wish that it would like to play a vital role in economic cooperation in the wider geographical scope of the Asia Pacific. Moreover, the United States focused on economic liberalization (instead of economic integration) in Asia in order that it could have access to a more liberalized marked there. This differentiated from what the East Asian countries favored. Finally, learning the lessons from the 1997-1998 Asian financial crisis, East Asian countries knew that it was unrealistic to expect the United States to play a securing role (as it did during the Mexican financial crisis in 1994) in any crisis in East Asia. Washington disappointed East Asia again after the 2009 global economic crisis, when it, like a clay Buddha crossing the river, was hardly able to defend itself. Therefore, East Asian states need to have a leader for their own, of their own and on their own. ASEAN and China might be good alternatives for such leadership. The Philippines' 'Pivot' to China: View From SingaporeAsia’s Murky Roadmap for GrowthSeeking a Solution to the South China Sea DisputesThe South China Sea Award Is Finally Here: What Happens Now?FTAs in East Asia: Economic Integration or Economic Spheres of Influence?